Larnach Castle (also referred to as “Larnach’s Castle”), is an imposing mansion on the ridge of the Otago Peninsula within the limits of the city of Dunedin, close to the small settlement of Pukehiki. It is one of a few houses of this scale in New Zealand. 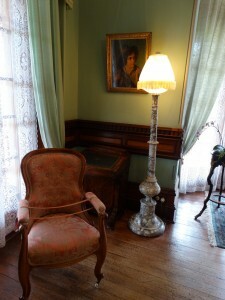 The house and its grounds are regularly open to the public. 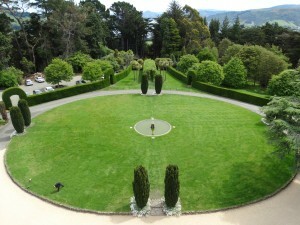 The Larnach Castle gardens are one of only five gardens nationwide to have been given the rating of “Garden of International Significance” by the New Zealand Gardens Trust. 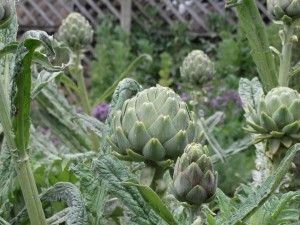 They were the first gardens in the South Island to be given this award; the only other in the South Island with this ranking is also in Dunedin – Dunedin Botanic Gardens. 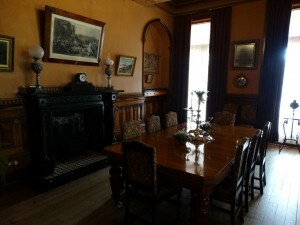 The house was built between 1871 and 1887 as the residence of William Larnach, a prominent entrepreneur and politician in colonial New Zealand. 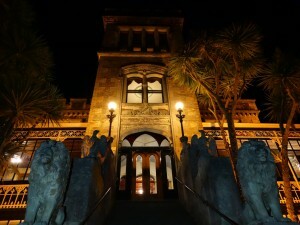 The first architect was R.A Lawson, who was also responsible for many other buildings in Dunedin. 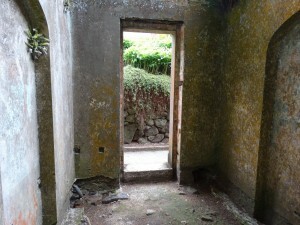 The resulting complex eventually contained 43 rooms and a ballroom and required a staff of 46 servants. 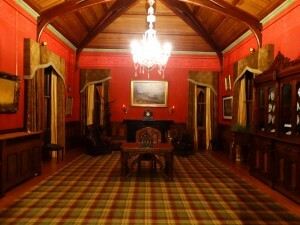 The ballroom was built as a 21st birthday present for Larnach’s favourite daughter Kate in 1887. 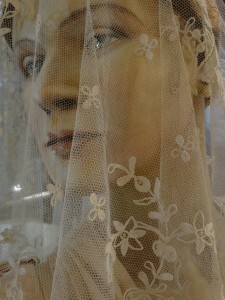 Kate died at the age of 26 of typhoid, and her ghost is still reputed to haunt the ballroom. 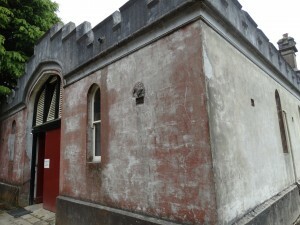 The ghost of Larnach’s first wife, Eliza, is also said by some to haunt the castle. 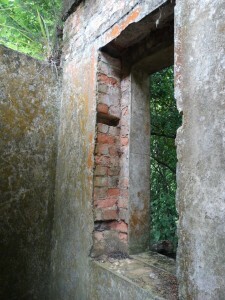 The building, which Larnach himself simply called “The Camp,” did not ensure his happiness. 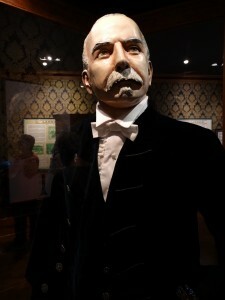 After a series of personal and financial setbacks he committed suicide in New Zealand’s Parliament Buildings in October 1898. 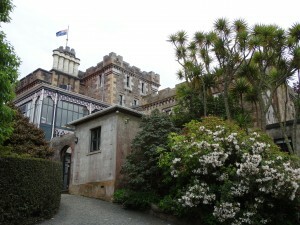 Following bitter legal battles over Larnach’s will, Larnach Castle was sold in 1906. 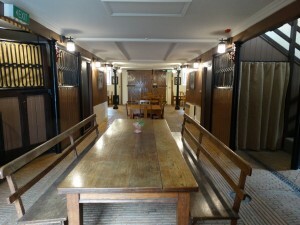 The place went through constant changes of ownership and usage, and after many years in which it fell into disrepair, it was bought by Barry and Margaret Barker in 1967 and has been restored. 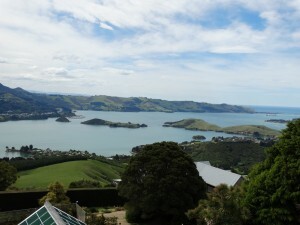 It affords spectacular views of the Otago Peninsula and Harbour and is 10 kilometres by road from the city centre. 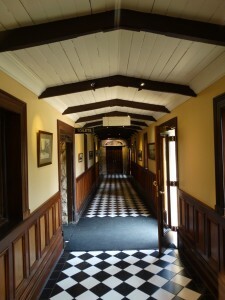 In 1985 it was used as a location for the filming of the TVNZ Dunedin production “Hanlon”. 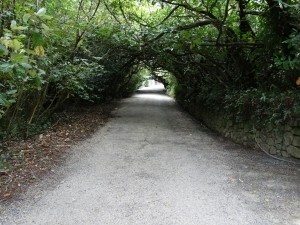 The same year, it was used in the introductory scenes in the US-New Zealand film co-production, Shaker Run. 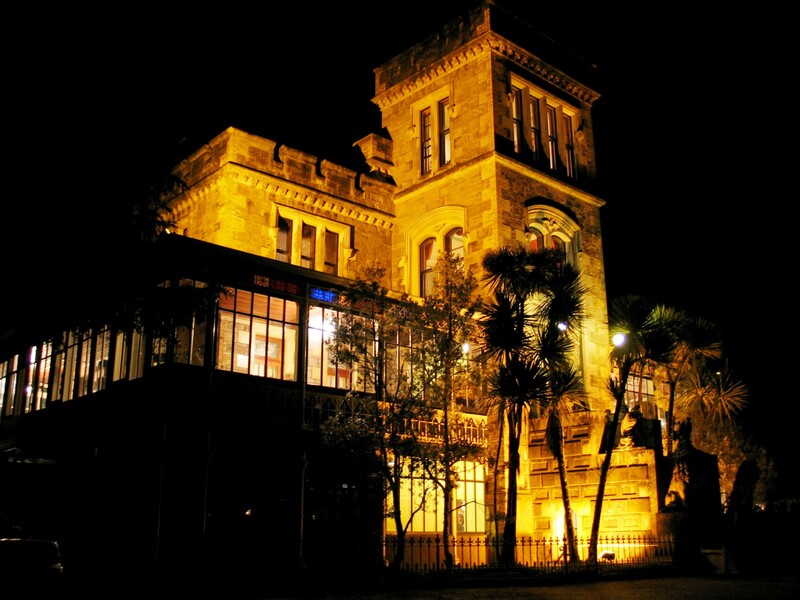 In 1994, a play about the Larnach family tragedies, titled “Larnach – Castle of Lies”, was performed by Dunedin’s Fortune Theatre before 100 invited guests in the castle ballroom. 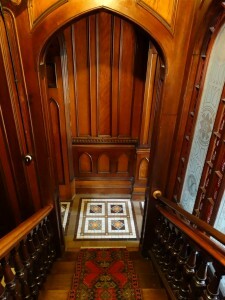 Larnach Castle continues to be a significant tourist attraction in Dunedin. 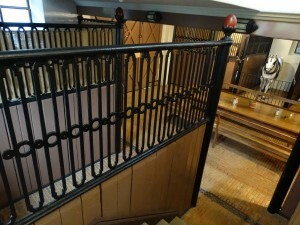 The owners have acquired another modern house nearby, whose design is a revived form of the city’s Victorian tradition. The expanded complex successfully trades on the old building’s reputation – a sign of its enduring interest. 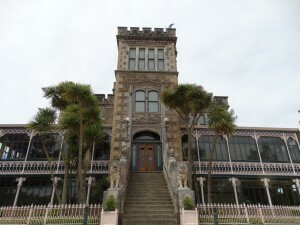 The building has been visited by paranormal investigators and featured on local New Zealand television shows such as ”Ghost Hunt” and ”Spookers” as well as international television shows such as the American ”Ghost Hunters International”. 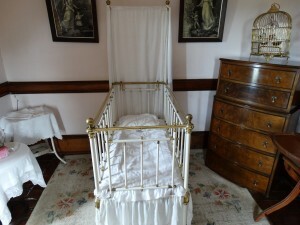 According to an article in the New Zealand Herald, as of November 2008, there had been close to 30 reported sightings of “cranky spirits”, “touches”, “pushing” and other “odd occurrences” at the castle. 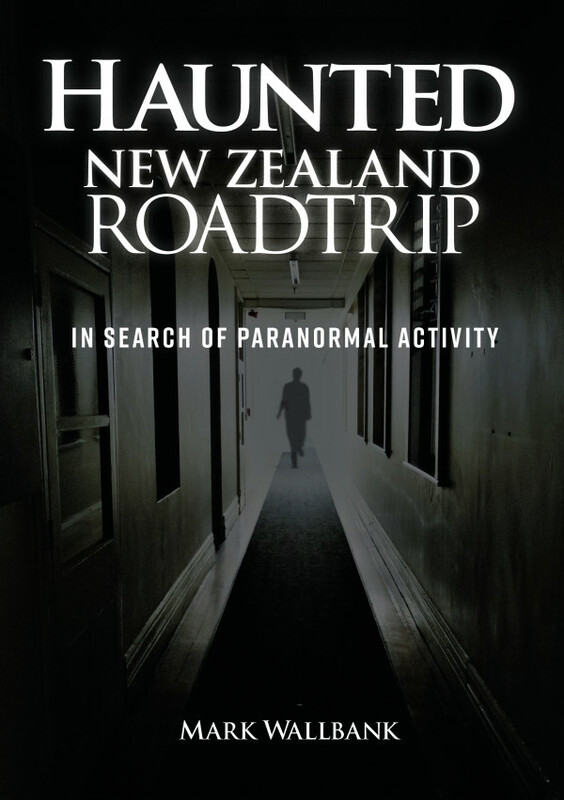 When the crew of TV2 series Ghost Hunt filmed at Larnach Castle in 2005, the ghostbusters captured what looked like a spectre on camera. 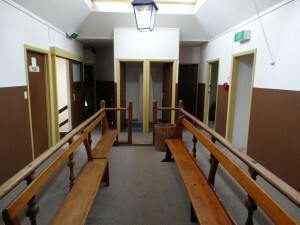 And when fellow Kiwi show Spookers holed up in the “haunted stables” one night in June, they got so scared they moved sleeping quarters in the small hours. 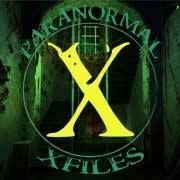 You could put these eerie experiences down to a bunch of overexcited TV personalities and a trick of the light, but there’s a few other encounters to explain. There’s been close to 30 reported sightings of cranky spirits, not to mention touches, pushing and other odd occurrences at the castle. 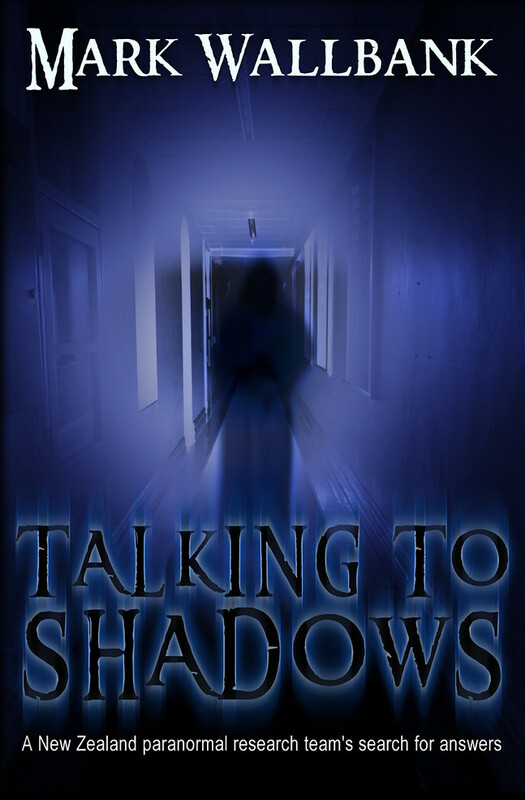 Tasty bait for US show Ghost Hunters International, whose paranormal investigators filmed there in March as part of an attempt to debunk claims of supernatural activity in the world’s most notorious haunted spots. The camera zoomed in on what sure looked like a ghost in the ballroom. William Larnach, I presume. Given the tragic history of Larnach and his family (the castle’s original inhabitants), if anywhere in our juvenile country was going to be haunted, this would be it. In 1871 bank bigwig William Larnach moved from Australia to Dunedin with wife Eliza, their four children and Eliza’s sister Mary. 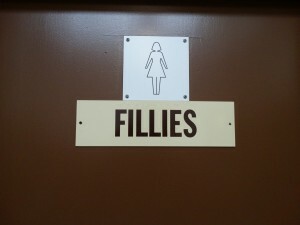 His choice of a remote hilltop for their new home didn’t please the grim-faced Eliza (while the castle is just 20 minutes’ drive from Dunedin now, it was utterly isolated in the pre-road colonial era). After producing two more children, Eliza died suddenly of a stroke at 38 – whereupon William promptly married her younger, prettier sister, Mary, who also died at 38 of blood poisoning. By now a merchant baron and MP, William married for a third time aged 57: this time to pretty Constance, who at 35 was his children’s contemporary. Five years on in 1898, William wasn’t a happy chap. Already teetering on the brink of bankruptcy and inconsolable after the death of favourite daughter Kate, he opened a letter which contained news of his adored wife’s affair with his son Douglas. William promptly shot himself in a parliament chamber, aged 62. 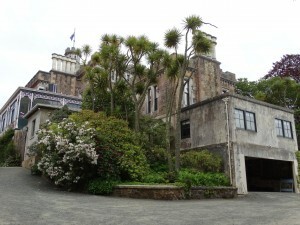 After scrapping over his unsigned will, the family disbanded, selling off the castle which was used as a home for shell-shocked soldiers and as a mental hospital. In 1967 the Barker family bought it and restored the building, grounds and old furniture and have cared for the castle ever since. The Barkers don’t dismiss rumours of a ghostly presence. 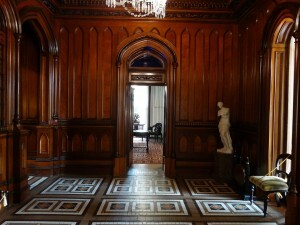 Apparently William keeps an eye on the lower floor – he’s particularly fond of the ballroom and the billiards room – while Eliza keeps mournful watch upstairs. 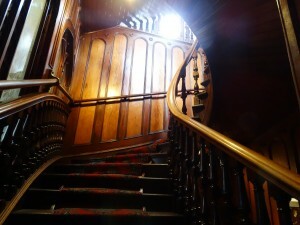 Whatever your take on the supernatural, there’s many more reasons to visit New Zealand’s only castle. 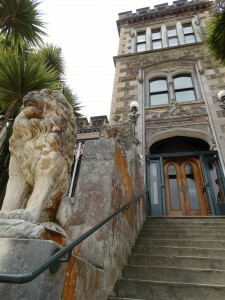 Guarded by massive stone lions and carved eagles, it’s a magnificent blend of Scottish-baronial and Gothic revival-style architecture, combining Italian marble, Venetian glass, Welsh slate, English tiles and native New Zealand rimu and kauri. 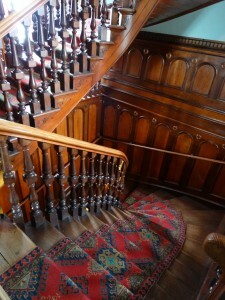 Slanted by the weight of the central hanging-spiral staircase, the four-floor castle is so vast and sprawling that we were glad of our map and tour guide, who filled us in on the history of the family. 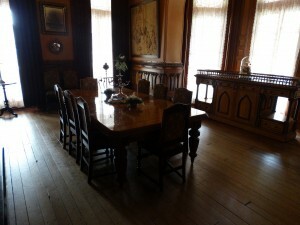 The elaborate dining room with its antique furniture, heavy chandeliers and waiter’s mirror (he couldn’t, of course, watch the diners directly) is still used for guest dinners. And its ornate ceiling is so intricately carved with cherubs and the like that they seem wasted in a room where you’re not lying down looking up. 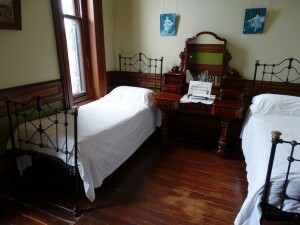 William and his wives slept in separate bedrooms, where the seemingly child-size beds are testament to how much smaller people used to be. 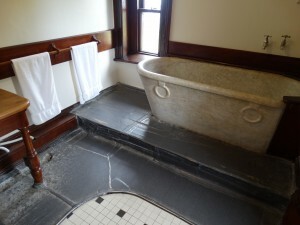 They were also much smellier – each room had a chamber pot and dips in the one-tonne marble bath were few and far between (by the time the maid had lugged up enough pots of water, the bath would be cold). By tour’s end, I could almost see the Larnachs disappearing into their respective rooms after dinner: the women to the chaise lounge in the drawing room, the men to the library. But we’re told we can’t leave without checking out the tower, which is as medieval-looking as it sounds. 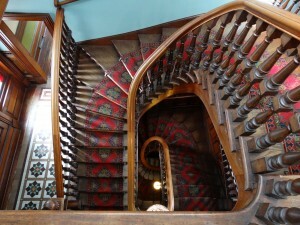 The incredibly-narrow, winding staircase is well worth the squeeze: up top we’re greeted by a sweeping panorama of ocean, harbour and coastline, all the way from the environs of Dunedin to the peninsula’s lighthouse-capped tip. 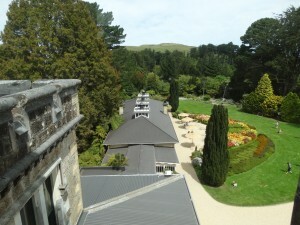 In the foreground are Larnach Castle’s 14ha grounds with their south seas, rock and heather gardens, native plant trail, fern walk, wishing well and boutique-lodge accommodation. The glorious views don’t end there. Driving northwards away from the castle on the harbour-hugging road, it’s tempting to glance away from the wheel to the aquamarine sea, sweep of beaches and hills shading from green to purple. At intervals along the road, sleepy villages huddle in sheltered bays. Just a kilometre or so down the road from the wee settlement of Portobello is the New Zealand Marine Studies Centre and Aquarium, an underexposed gem where we took a virtual submarine ride and marvelled at sea creatures like the Pinocchio-nosed bellowfish which changes colour at whim. At the peninsula’s end is Taiaroa Head, a former Maori pa turned military fort (established in the 1880s to counter the perceived threat of a Tsarist Russian invasion). Nowadays it’s a museum where you can stroll through old tunnels and check out the Armstrong Disappearing Gun, which can be fired from underground. But it’s wildlife, not weapons, that is the main attraction on this small headland. The peninsula is home to a colony of yellow-eyed penguins at Penguin Place and seals and sea lions can be spotted sleeping in the sun on eastern clifftops. Also, check out the Royal Albatross Centre, a bastion of New Zealand’s only mainland breeding colony. Plenty of tours, on land and water, offer a close-up gander. Driving south along the harbour mouth back to Dunedin, I realise I have a whole different perspective on where the city slots into its landscape: at the nape of a peninsula with some spectacular views and wondrous wildlife. Jury’s still out on the ghosts. 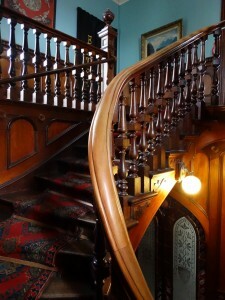 Larnach Castle, built a few kilometres out of Dunedin in 1871 by business tycoon and politician William Larnach, and its reputed ghosts are tied in with personal tragedies that beset his family. Or perhaps some eerie tales came from the castle’s days as a hospital for the mentally ill, one of its many uses for many owners over the years. Nowadays the castle, a mixture of Gothic Revival and Colonial style, set amid 14 hectares of grounds, are a prime tourist attraction. 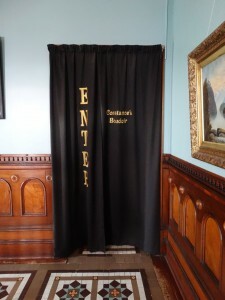 It has been owned since 1967 by the Barker family – a longer period than William Larnach, who shot himself in a Parliament committee room in 1898. 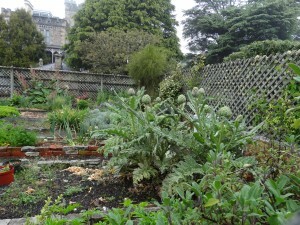 More than 100,000 visitors a year enjoy panoramic views of Otago harbour some 300m below, and its splendid gardens have been named as being “of national significance” by the New Zealand Gardens Trust. 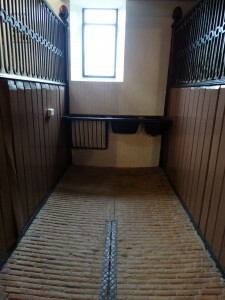 Guests stay in 12 themed rooms in the castle lodge, take breakfast in the adjacent former stables and dinner in a castle dining room. 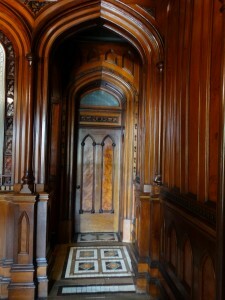 Also included in the tariff is admission to the castle – and it’s on tours of the ornate interior that the ghost stories usually come in. 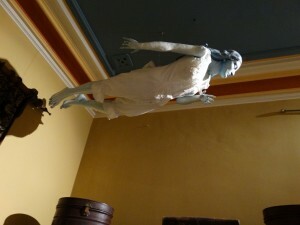 They’re helped along by the figure of a “floating lady” suspended from the ceiling in a room known as Constance’s Boudoir, named for William Larnach’s third wife – who allegedly had an affair with his second son. Who is the floating lady? 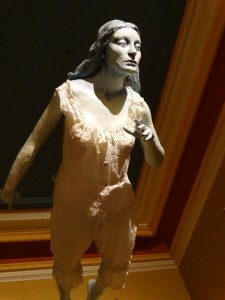 “She can be what you imagine her to be,” said our guide enigmatically. 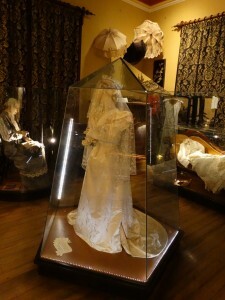 Perhaps it is Constance herself, whose ivory silk wedding dress is on display in the boudoir. 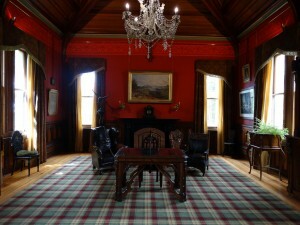 Another tale is that Kate Larnach, the patriarch’s favourite daughter, haunts the ballroom which was reputedly built for her as a gift for her 21st birthday – she died of typhoid five years later. 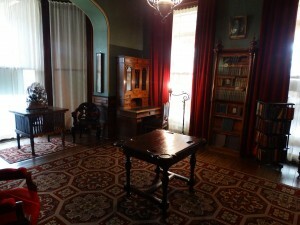 Larnach’s first wife Eliza Jane died of apoplexy in the South Bedroom – it’s said that her “presence” can sometimes be felt in that room’s room doorway. 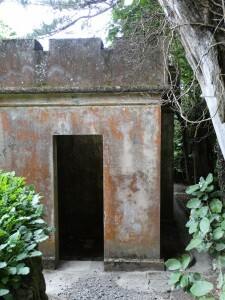 After Eliza’s death, Larnach married his wife’s sister Mary Alleyne – who five years later also died suddenly, of blood poisoning. 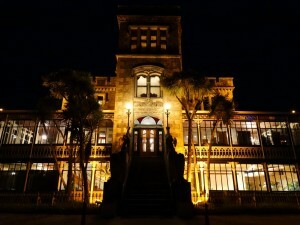 Larnach’s third wife Constance was 21 years younger than the 56-year-old William, and scandal erupted when she was accused of having an affair with Larnach’s son Donald – who later killed himself in a Dunedin hotel. 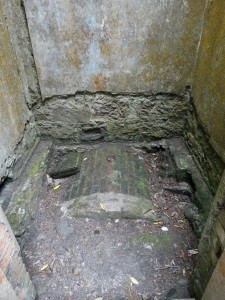 Larnach’s own suicide came when he faced financial ruin after the collapse of the Colonial Bank. It has been speculated that his ghost is responsible for the mysterious opening and closing of doors in the castle during the night. Some hotel workers have reported hearing footsteps late at night and feeling as though someone has touched the back of their necks, making their hair stand on end. One evening as the castle owner and hotel manager worked late, both heard what sounded like a heavy piece of furniture being pushed along the floor. They found nothing had been moved. 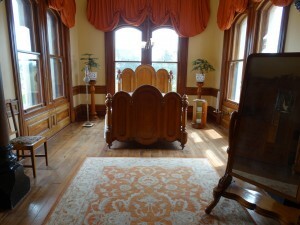 Another time, staff heard heavy breathing from the South Bedroom. The room was empty. 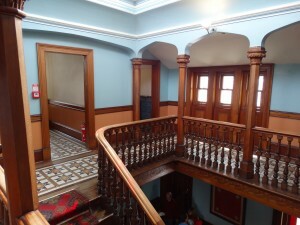 Castle owner Margaret Barker tells of people feeling that someone or something touched them on the back of the neck at the bedroom door of the first Mrs Larnach. 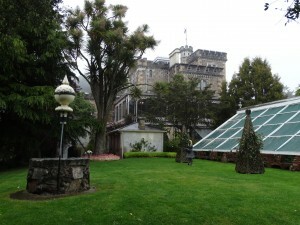 A play about the Larnach family tragedies, titled Larnach – Castle of Lies, was once performed by the Fortune Theatre before 100 invited guests in the castle ballroom. “It was a night to remember,” Margaret Barker said. “As the guests arrived a terrible storm blew up from nowhere. The smoke from the fires blew back down the chimneys so that you couldn’t see – and your eyes hurt. Hail crashed on the iron roof so that you couldn’t hear. Doors mysteriously opened by themselves and it got very cold. 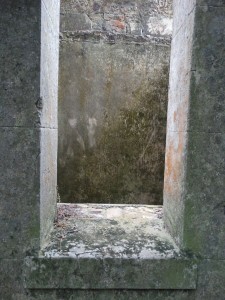 “In the play – just as Larnach shot himself there was a blinding white light. Afterwards at supper people were talking about the lightning strike as Larnach held the gun to his head. 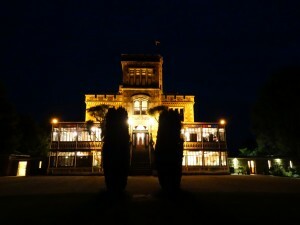 New Zealand’s only castle took 200 men three years to build at a cost in 1871 of 125,000 pounds. 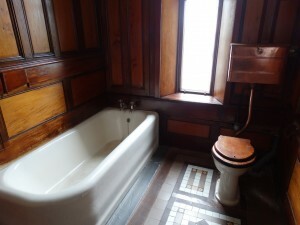 After Larnach’s suicide, the property and its furnishings were sold at auction. 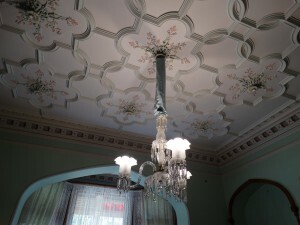 Among the castle’s uses during the first two-thirds of the 20th century were a holiday retreat for nuns, a mental hospital for shell-shocked World War I soldiers, a restored showplace and a billet for US soldiers in World War II. It was in “dreadful” condition when the Barker family bought it in 1967, but it was painstakingly restored and refurnished until it became Dunedin’s most prestigious tourist property and the scene of many glittering social events. 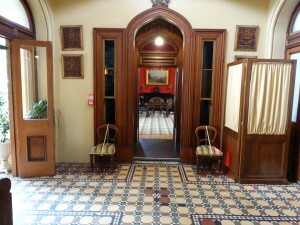 Further information: Larnach Castle has its own website at www.larnachcastle.co.nz. 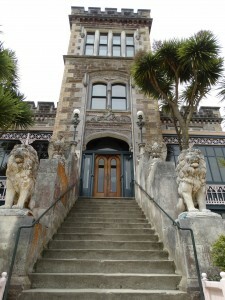 I live in Dunedin , and have always been interested in Larnach’s castle. I do feel rather spooked out walking around, and I would never be able to stay the night there! 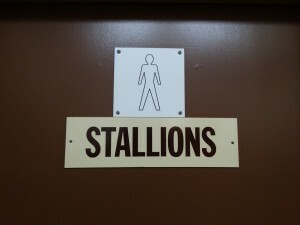 I had a friend once, years ago ,who worked there. 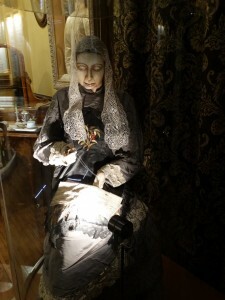 She told me a story , which I thought I would share….One night , very late…her and another lady were doing a stock take in the souvenir shop, main entrance of the castle. 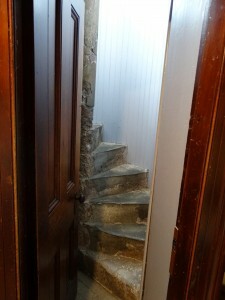 This is right under the main part of the castle, the staircase , and all the bedrooms. Anyway, all upstairs was empty…suddenly , there was this very loud noise above them , which sounded like furniture being moved along the floor. 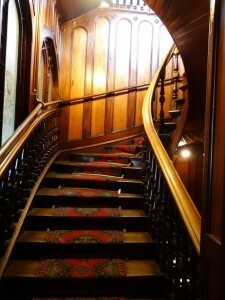 They crept upstairs , but nothing had moved and nobody around,. they carried on working through the night..just doing their best to ignore what was happening above them!